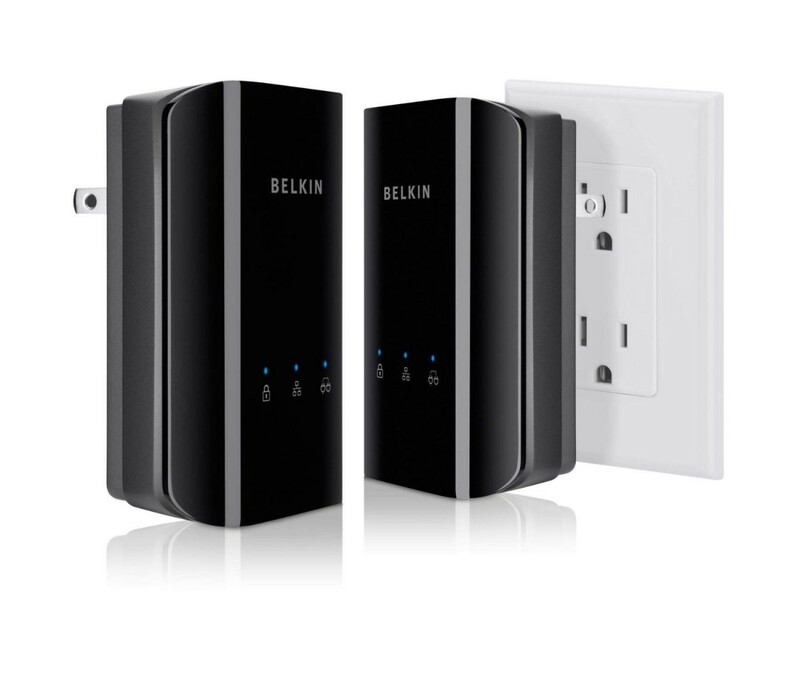 Transform your home's power outlets into a high-speed network with the Belkin Powerline AV500 Network Adapter. This convenient networking kit uses your home's electrical wiring to create a reliable network, generating data rates of up to 500 Mbps. 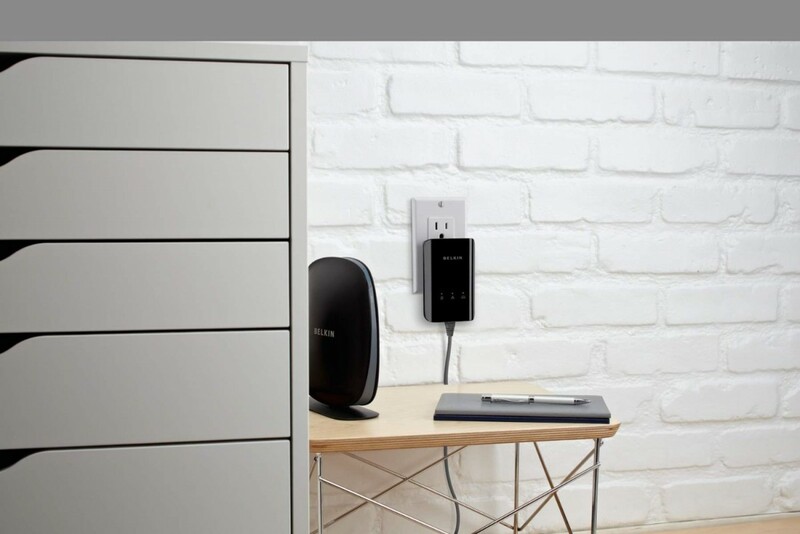 With Powerline, you don't need to route your Ethernet cables through the walls. Simply plug the adapters into available power outlets, and you can extend your network to the farthest reaches of your house. 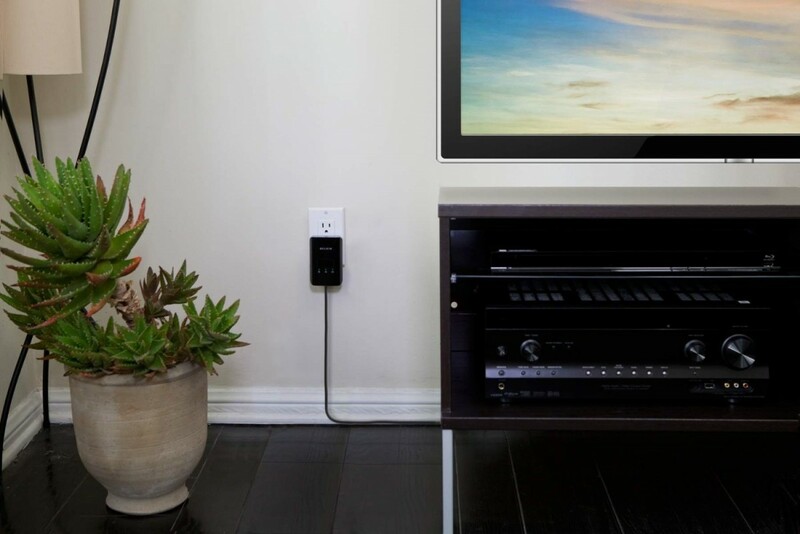 The Powerline AV500 transforms your home's power outlets into a high-performance network. 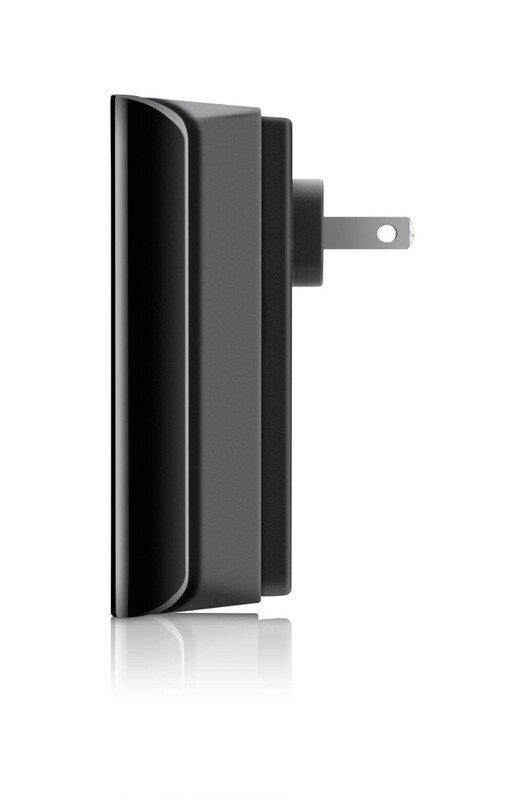 Ideal for homes that experience wireless Internet signal interference due to a home's construction or layout, Powerline provides a secure, stable Internet connection in places where wireless signals don't reach, by turning any wall outlet into an Internet access point. With speeds of up to 500 Mbps, the Powerline AV500 delivers the performance you need for ultra-fast file sharing, gaming, and streaming HD video. 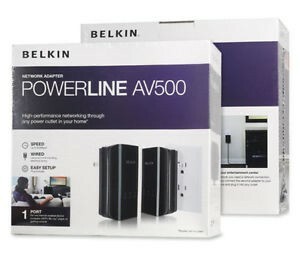 Fast Network Connectivity through Electrical Wiring With the Belkin Powerline AV500, you can send high-bandwidth content from the Internet to computers and network devices all over your home through the electrical wiring in your house. The two included adapters let you convert any electrical outlet in your home into a network connection. For instance, if you have a computer in the attic or other room where a wireless signal is weak, the Powerline is the perfect solution. You don't need to drill holes to extend your Ethernet cable, and you won't have to worry about the slow data speeds and intermittent dropouts that often plague wireless connections. Unlike Wi-Fi, the Powerline network connection isn't affected by factors such as cordless telephones, your neighbor's networks, and other wireless interference. Fast Network Speeds up to 500 Mbps Powerline's convenience comes with excellent performance. 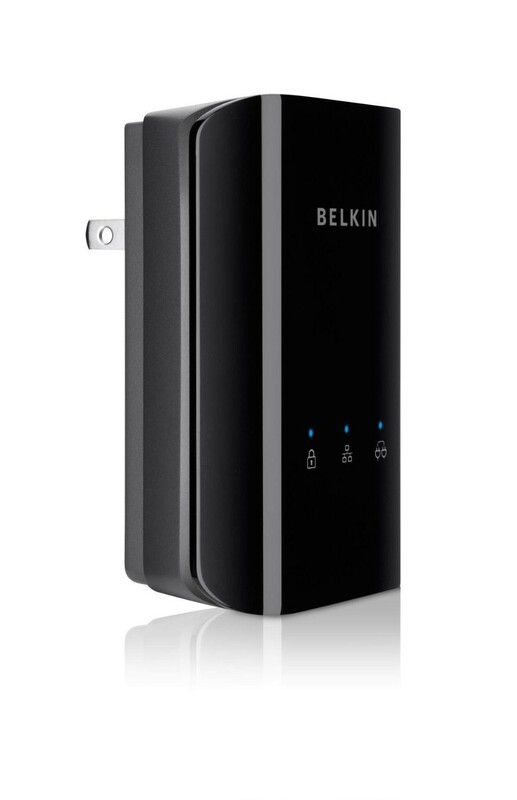 With data speeds of up to 500 Mbps, it can handle even heavy Internet usage. You'll be able to download and stream music and video files, play online games, and make VoIP phone calls without lag time or hiccups. Please note that transmission rate varies depending on the quality of your home's wiring and the distance from router to adapter. Enhanced Security Keeps Out Snoopers With 128-bit AES link encryption with key management, the Powerline ensures that your information is safe and secure from intruders. Since information is all transferred via wires, outsiders won't be able to access your network, as they sometimes can with wireless connections. The system's push-button security setup is a cinch. 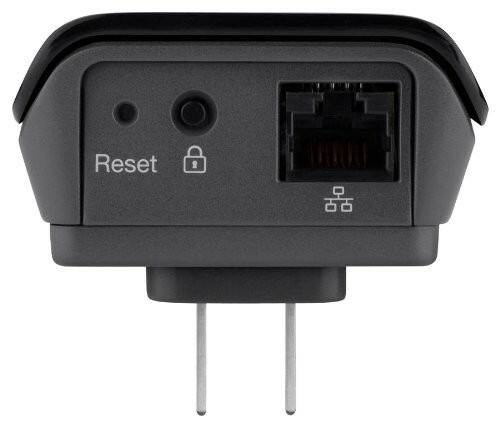 Simple Plug-and-Play Installation Setup is easy: simply plug one adapter into a wall outlet and connect it to your router via Ethernet, then plug the second adapter into an outlet wherever you need a network connection. The kit includes two adapters--sufficient to create one connection. If you have need for another connection, just purchase another adapter. What's in the Box Two Powerline AV500 network adapters, two Ethernet cables, CD user's manual, and quick installation guide.